A thrilling tale that follows the death of Zia on 1988 and folllows much of Pakistan’s history till the shahadat of Benazir Bhutto. 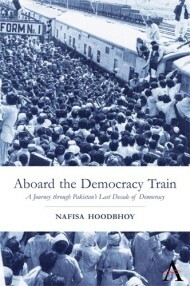 The book gives a close acccount of what goes behind the scene in the political landscape and how specific events change the functioning of democracy in Pakistan. Fragility of the civil institutions have directly been related to the weakness of democracy in Pakistan however the tussle between civil military as the book shows continues when the civilian government was further topples in 1999. Interesting read but for the better part of the second book the story becomes boring and the kind of connect and cohesion on the first part is missing. Much of the book is in memoir style which is good added with history. You can complement the author on the story of the rise of MQM, problems of rural Sindh, toppling of Benazir but towards the latter part you might be lost. Otherwise informative basis good read.